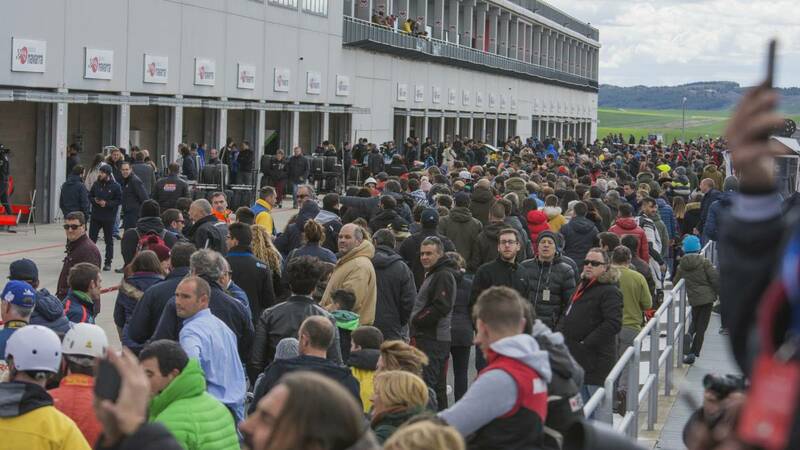 The Racing Weekend, an event promoted by the Royal Spanish Automobile Federation, was premiered last weekend in Navarre, arousing great interest. The Racing Weekend, an event promoted by the Royal Spanish Automobile Federation to reactivate the enthusiasm for motorsports in the circuits, premiered with high note last weekend at the Circuit de Navarra. 7.250 spectators attended the first meeting of the calendar, whose careers were broadcast live through the platforms of LaLigaSports, and had more than 21,000 views on YouTube. Although the weather announced unpalatable weather, the two days of Racing Weekend received the 7,250 fans with sun , spring temperatures and a program: 9 races, direct contact with the competition, pit ride and, for VIPs, strong feelings as co-drivers of Álvaro Barba, at the controls of a Toyota, the Safety Car Racing Weekend. sports, the new stage of the Spanish Touring Car Championship CET-RACE, the Spanish GT Championship -CER and the Spanish Formula 4 Championship gave away 9 highly exciting, explosive races. Belén García and Nerea Martí made history as the first female fe duo to win the first two places of a Formula 4 race. the talent is worth. In the second race, they were the only ones who respected the signaling of the red flag, throwing a historic podium, topped by Franco Colapinto (Drivex), winner of the first race and poleman of both qualifying sessions. In resistance, on Saturday there was a women's double with Amàlia Vinyes and Alba Cano, armed with two Cupra TCR. Manuel Aviñó, president of the Royal Spanish Federation of Motorsports, very positively valued the experience: "This is a historic moment, which we have arrived with a lot of work, effort and enthusiasm, Racing Weekend will be the benchmark in our circuits, both in the sporting part, with top-level competitions, and in the playful aspect, with a wide range of entertainment for all audiences " . The next appointment of the calendar will be on May 25 and 26 at Motorland Aragón.